Easily find a spot on the powdery sand beach, relax, apply suntan lotion and chill! Drink coconut water fresh from a coconut, take a refreshing dip in the sea to cool down. Sit back, relax and read a chapter of your favourite book. Pop for a delicious Thai lunch on the beach at one of the restaurants located directly on the sand, ask for your favourite drink, ice cold. Hear the gentle sound of the sea lapping onto the shore in the background as you take in the beautiful view. After lunch, there is a choice of kayaking, snorkelling, building a sandcastle, getting a massage or simply choosing more laying down and reading a book. Later on, retire to the beach bar and watch the sun set. Crystal Beach is one of our favourite beaches in Koh Samui, whilst there are many amazing beaches across the island, we think this is one of the prettiest. This beautiful small bay has an idyllic setting wth feature large rounded boulders at each end of the bay and is surrounded by lush greenery with the trees providing a shady refuge from the sun if needed. It’s around 300 metres long and the clear water has a twinkling aquamarine hue. It’s a sandy beach with shallow water, so you can wander barefoot along the sandy seabed. 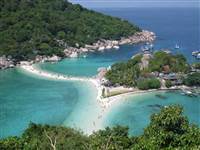 This gorgeous beach is known by the names of Crystal Bay, Crystal Beach, Haad Thong Ta-kien (beach of the trees) and Silver Beach. 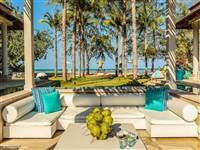 This peaceful beach is located between Chaweng and Lamai appoached down steps though a small resort from the main Koh Samui ring road. It’s a popular beach for both families and couples. You’ll find the water is calm and great for paddling for younger children, it’s also quieter than other beaches. 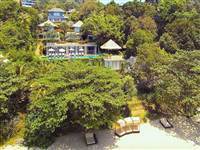 The main activities here are kayaking and snorkeling. The water is usually clear enough to snorkel and you may spot a few brightly coloured fish. 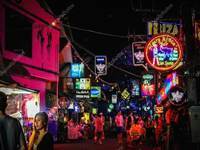 At the present time there are just 2 rustic style restaurants as part of bungalow resorts that border the beach situated at either end and whether you fancy a quick Pad Thai or something more adventurous - you’ll find plenty of options for a delicious lunch. 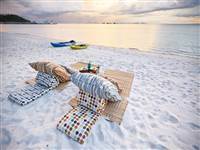 There are a number of beachside massage salas available at the resorts and why not stay for a sundowner at the bar situated on this great spot on the beach. It really is a beautiful place to be. A few metres from Crystal Beach, towards Chaweng you’ll also discover Coral Cove - this is a great spot for snorkelling and you’ll find crabs and fish. Don’t just take our word for it. 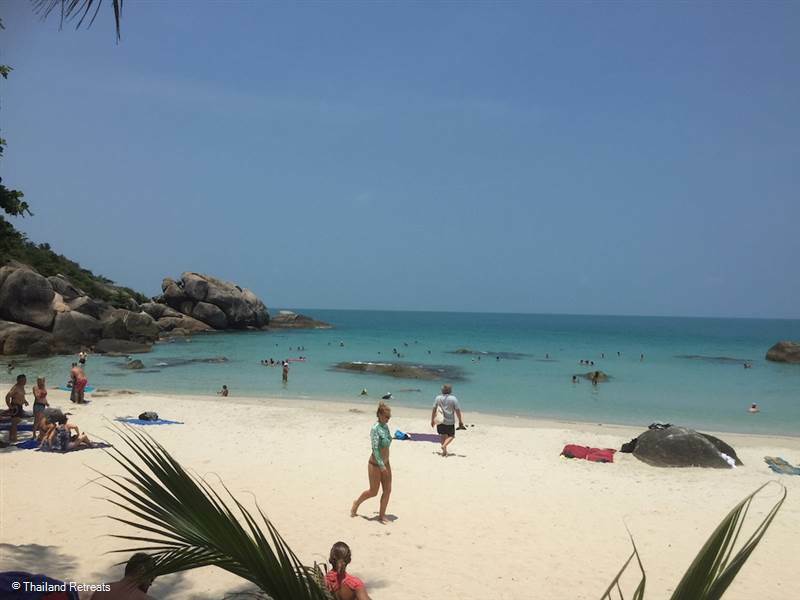 Check out these instagram pics from those that have recently been having fun on Koh Samui.